Surprise call to Tommy Chong, HBO premiered a new comedy on Saturday: Paterno, nobody understands Cardi B, the Menendez brothers reunite & we check in with “Vacation Maz”. The Detroit Tigers are actually winning games, but here come the Indians this week. Cleveland fans were pumped for their home opener. Jimmy Kimmel v. Sean Hannity: Twitter war! 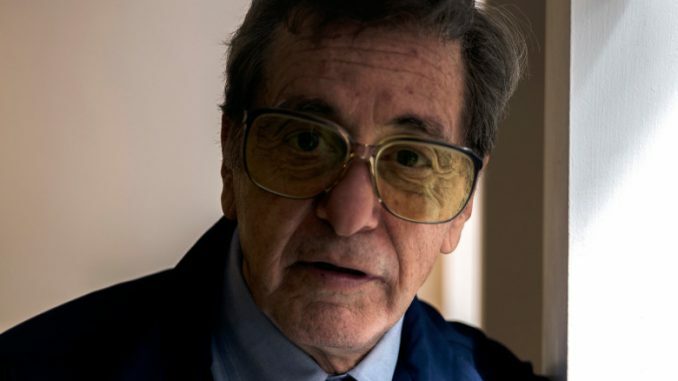 Al Pacino played Joe Pa in the HBO Paterno movie. Good film about the worst situation. Some scenes were terribly ridiculous. Great new documentary series on Netflix: Wild Wild Country. Today in Rock: Toys in the Attic released. Kurt Cobain found dead. Marilyn Manson let someone drive who shouldn’t have. The London Olympic committee surprised that Keith Moon died… 34 years earlier. The Rock and Roll Hall of Fame induction ceremony is this weekend & Mark Knoffler still isn’t going. Cardi B was on SNL this weekend. Why is she so popular? Aliens are real. Buzz Aldrin saw them. The Menendez brothers reunited in prison. Lyle is way too tan & both of them are married. So, everything is turning up Menendez! Patrick Reed wins the Masters. We check into the whitest thing in America: Jim Nantz post Masters in Butler Cabin. We bother Tom Mazawey on vacation to find out where the megaphone he gave us went. 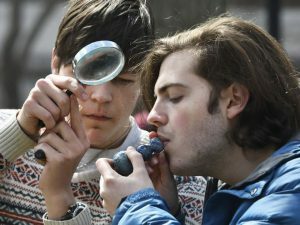 Hash Bash 2018 was this weekend. 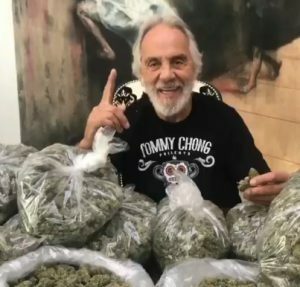 We decide to call Tommy Chong for the hell of it. He answers and gives us a great interview.